Join Oil & Gas IQ for a series of webinars covering virtual and augmented reality and how your organisation can benefit. 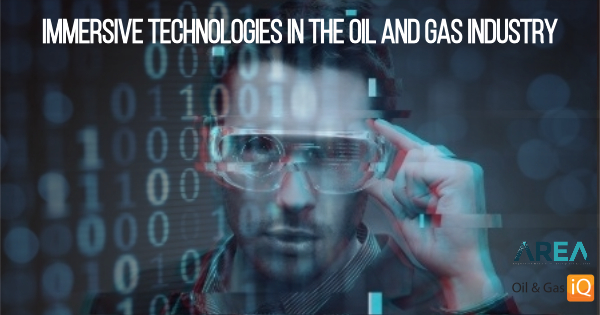 Join us for this one-day event as Oil & Gas IQ speak with Jean-Baptiste de la Rivière of Immersion and Mark Sage of the AREA, amongst others, about the adoption of AR, VR, and XR applications in the oil and gas industry. Attend this fantastic free event and have the opportunity to ask questions and gain insight into this trendsetting and increasingly-important field. Attend this fantastic free event to hear more from Jean-Baptiste. Mark is the Executive Director of the Augmented Reality for Enterprise Alliance (AREA). The AREA is a membership funded alliance, helping to accelerate the adoption of Augmented Reality (AR) through a comprehensive ecosystem.With a focus on creating value and ROI for its members, his goal is to develop a robust and active ecosystem for AR. His background includes a strong interest in mobile, AR, VR, and IoT and he is excited to work with enterprises, providers and research organizations to the benefit and growth of the AR within the enterprise. Attend this fantastic free event to hear more from Mark. Partner with Oil & Gas IQ and receive branding on the Oil & Gas IQ portal, social media promotion to our reach of 150,000 members, present your key stakeholders as thought leaders to global database of 2.1 million+, cut through marketing noise with targeted communications, and receive lead generation you can plug straight into your CRM.